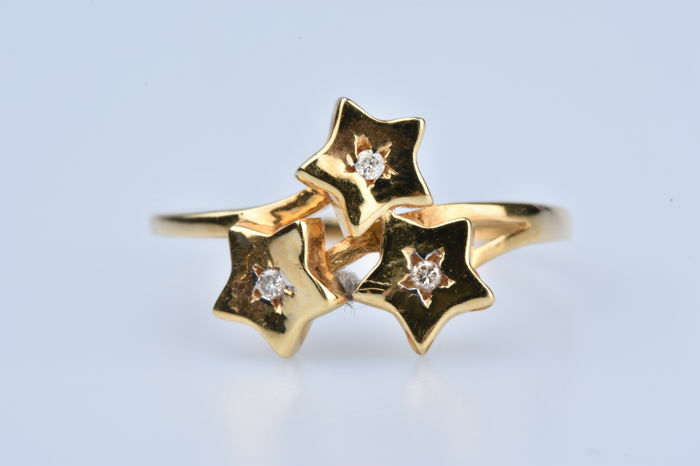 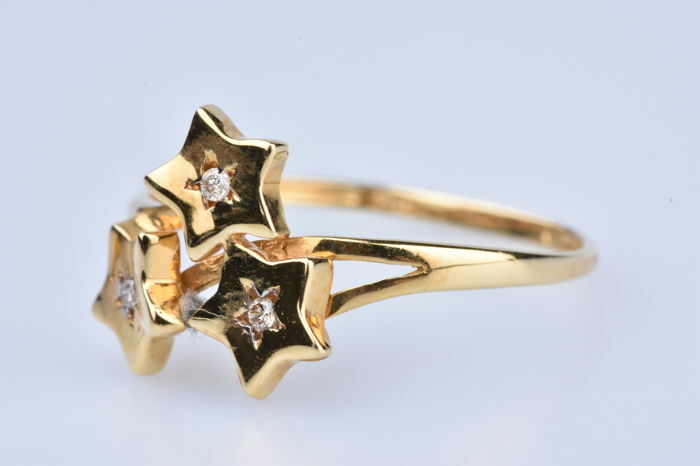 Three star ring 18 kt yellow gold (750/1000), 3 round, brilliant diamonds weighing 0.01 ct each for an approx. 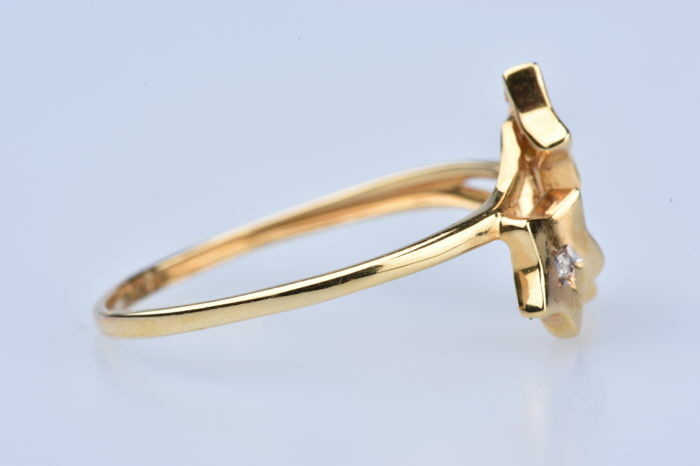 total of 0.03 ct.
Diamond colour: H. Clarity: SI. 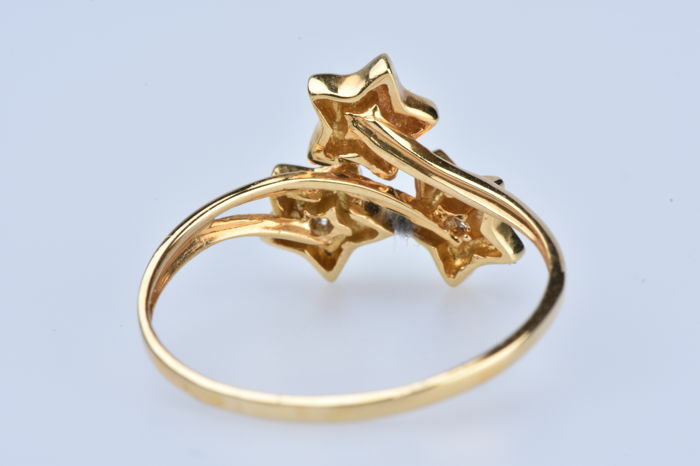 Size: 54 EU, 6 3/4 US. 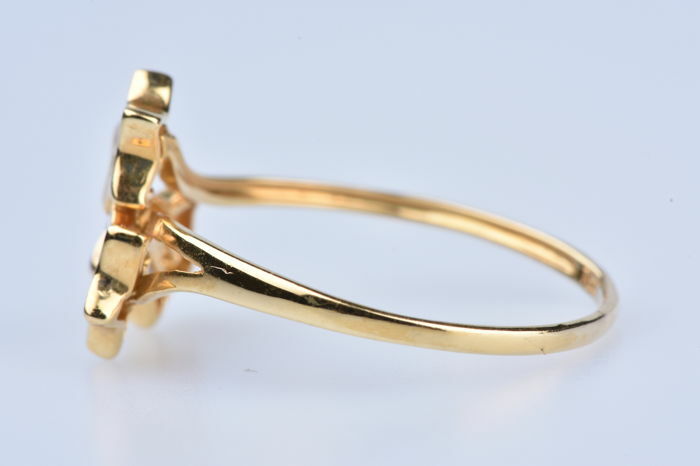 ‘750’ gold hallmark on the ring. 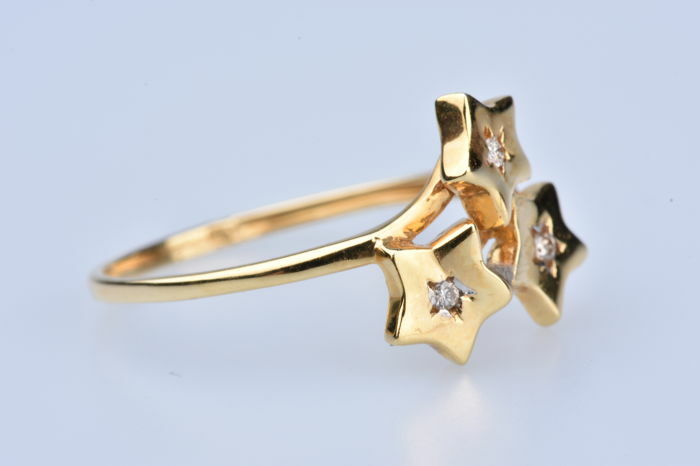 The ring can be resized free of charge*, ask before shipping.